By: Allyssa Ann Hintzen, UW Milwaukee Journalism Dept. The Center for Life Transitions, Inc. is dedicated to serving people at “crossroads” in their personal, professional and spiritual lives. The idea for The Center began when two friends at North Branch Reformed Church in Bridgewater, NJ, Tom Bachhuber and Scott Pontier, regularly shared their concerns about career, family life and faith and those of the clients they served. It all began around 1992; Tom was a career management consultant and Vice President of a recruitment firm and Scott was a therapist and President of his own EAP. They quickly discovered how similar their thinking—and dreams– were. An organization to help people in transition could be truly valuable—one which brings together best practices in counseling, family therapy, career coaching and also encourages clients to examine their faith as they address change in their lives. Enter Ethel Kienz, gifted senior at North Branch Reformed Church and volunteer throughout Somerset County, who worked for Tom’s consulting practice. Tom continues, “Ethel knew about our dream and one day, she just declared to me, ‘If you’re serious about this, I’ll back The Center by providing an endowment that will fund programs for people in transition.” Scott and I were astounded but we also knew that by ‘serious’, Ethel would set a high bar.” With the help of a small business consultant, Tom and Scott formed a non-profit company/501c3 in 2002, with a Board of Directors on which Ethel sat and actively participated until her death in 2003. Dona Lee Calabrese, Consultant, Trainer and long-time friend and colleague, lead a strategic planning retreat for the Board resulting in a mission statement—and significant enthusiasm for the work ahead. Center Administrator Ruth Stein has been an integral part of the Center’s development from the beginning and also designs and presents Center workshops. Tom and Scott acknowledge the importance of Ethel’s involvement with the Center during the early stages. Ethel worked her way up the corporate ladder at AT&T in a 38 year career. Growing up across from Manhattan in Ridgewood Park, she had a passion for business and went to work immediately after high school. “Ethel would weigh in on all significant issues of mission, strategy and finance as the Center was formed. Her perspectives were always incisive—and valued,” Scott said. Working in partnership on service delivery with like spirited individuals and organizations. The Center has a New Jersey home—its administrative offices are in a circa 1787, pre-civil war house located on the banks of the North Branch of the Raritan River in Bridgewater, New Jersey. The building has been carefully maintained to reflect the enduring character of its age while providing comfortable, space for the Center’s programs, counseling and services. The grounds are conducive to outside meetings, personal reflection, and simply enjoying nature. Have a question? 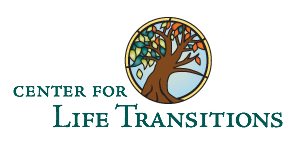 Contact Tom Bachhuber at The Center for Life Transitions, Inc.